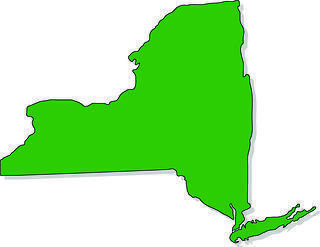 For those who want to engage in business activities in New York State, several types of business entities are available. Each entity type has different advantages and characteristics. Here is a brief overview of the entity types available in New York and what has to be filed to form them along with a description of the personal liability, life span and method of taxation for each. File an Assumed Name Certificate with the clerk of the county(ies) in which business will be conducted and only if operating under a name other than the proprietor’s. Personal liability is full, as a sole proprietor is responsible for all debts of the business. The life span of a sole proprietorship is determined by the individual. Taxation: Business income is reported and taxed through the sole proprietor’s personal tax return. File an Assumed Name Certificate with the clerk of the county(ies) in which business will be conducted. Personal liability is joint and individual for the general partners who are responsible for the obligations of the partnership. The life span of a general partnership is for a designated period stipulated in the partnership agreement or until a dissolution event occurs. Taxation: Business income is taxed through each general partner’s personal tax return. File a Certificate of Limited Partnership with the New York Department of State. Personal liability is joint and individual for the general partners who are responsible for the obligations of the partnership and limited partners are liable to the extent of their capital contributions. The life span of a limited partnership is for a designated period stipulated in the Certificate of Limited Partnership or until a dissolution event occurs. Taxation: Business income is taxed through each partner’s personal tax return. File Articles of Organization with the New York Department of State. Personal Liability is limited for members. The life span of a limited liability company is for a designated period stipulated in the Articles of Organization or until a dissolution event occurs. Taxation: A limited liability company can elect its classification for federal tax purposes. A limited liability company with two or more members can elect to be an association (corporation) or a partnership. A limited liability company with one member can elect to be an association (corporation) or elect to be disregarded as an entity separate from its owner and be treated as a sole proprietorship for federal tax purposes. File a Certificate of Incorporation with the New York Department of State. The life span of a not-for-profit corporation is perpetual or for a designated period stipulated in the Certificate of Incorporation. Taxation: A not-for-profit corporation is not automatically exempt from federal and state taxes. To qualify for tax exempt status under the Internal Revenue Code, contact the Internal Revenue Service. For state tax exemption, contact the New York State Department of Taxation and Finance. Personal liability is limited for shareholders. The life span of a business corporation is perpetual or for a designated period stipulated in the Certificate of Incorporation. Taxation: A business corporation pays state franchise taxes and taxes on income. Shareholders pay taxes on income distributed as dividends. Choosing a New York business entity type that best fits a particular situation requires careful thought and planning and should be chosen only after consultation with a legal professional.